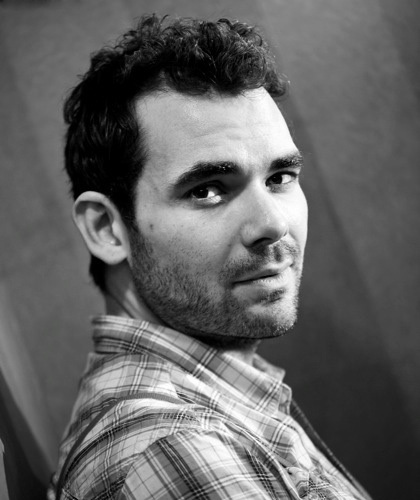 Daniel Kramer is the Artistic Consultant of English National Opera. His credits include: La traviata (Theater Basel); Sadko (Vlaamse Opera, Slovak National Opera); Romeo and Juliet (Shakespeare’s Globe); Dream Play (Harvard University); The Serpent (Brown University); Pelléas et Mélisande (Mariinsky and Bolshoi Theatre, Golden Mask Awards); Carmen (Vlaamse Opera, Opera North); Punch and Judy (Grand Theatre Geneva, ENO – Outstanding Achievement in Opera, South Bank Award); Bluebeard’s Castle (ENO, Mariinsky and Bolshoi Theatre – Golden Mask Awards); Pictures from an Exhibition (Sadler’s Wells, Young Vic); King Kong (Regent Theatre, Australia); Angels in America (Headlong, Glasgow Citizens Theatre, Lyric Hammersmith); Woyzeck (St Ann’s Warehouse, NYC); Bent (Trafalgar Studios, London); Prick Up Your Ears (Comedy Theatre, London); Hair, Woyzeck (Gate Theatre, Notting Hill); Through the Leaves (Southwark Playhouse, Duchess Theatre, West End). Daniel is a NY Drama League Fellow. He was an associate at the Gate Theatre, Notting Hill, the Young Vic and a Creative Associate at the Royal Shakespeare Company. He has also been a guest artist and professor at Harvard University, Brown University, New York University, Northwestern and the Guildhall School of Music and Drama.